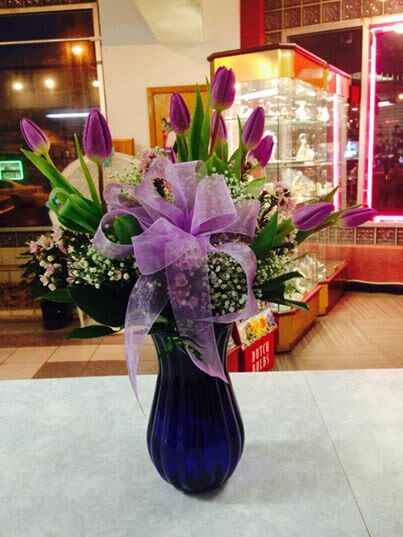 International Florist has been serving Newark and surrounding communities for over 40 years. Our floral designs may be seen in major corporations, throughout the city. We specialize in all types of social events, Weddings, Grand Openings, Sweet 16, Corporate Events & Bereavement Tributes. We carry a wide variety of color roses, Holland and Exotic flowers, plus we carry a large selection of balloons, both Mylar and Latex, Fruit & Gourmet Baskets. Our professional floral designers are trained to arrange in all styles ... from traditional to contemporary. Please call Toll Free 800-852-8930 for custom orders or arrangements not pictured. 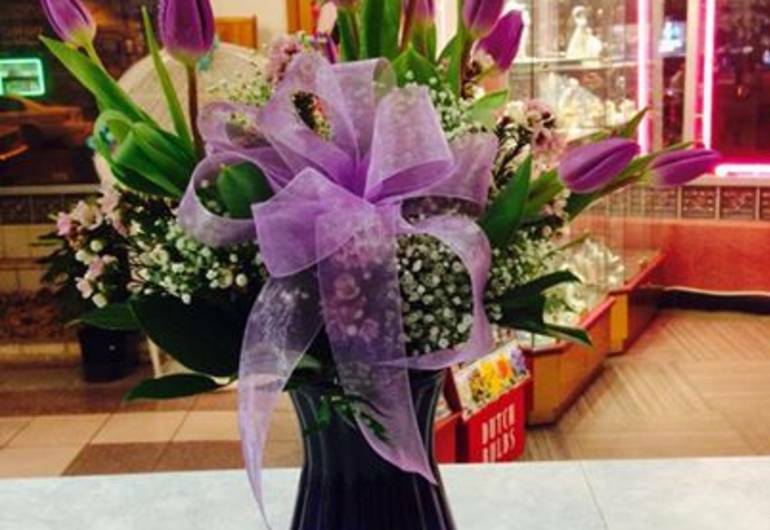 We also offer a large selection of silk flowers, dish gardens, gift items, collectibles, green and blooming plants, plush teddy bears & chocolate. Prompt delivery is made to all hospitals and funeral homes.